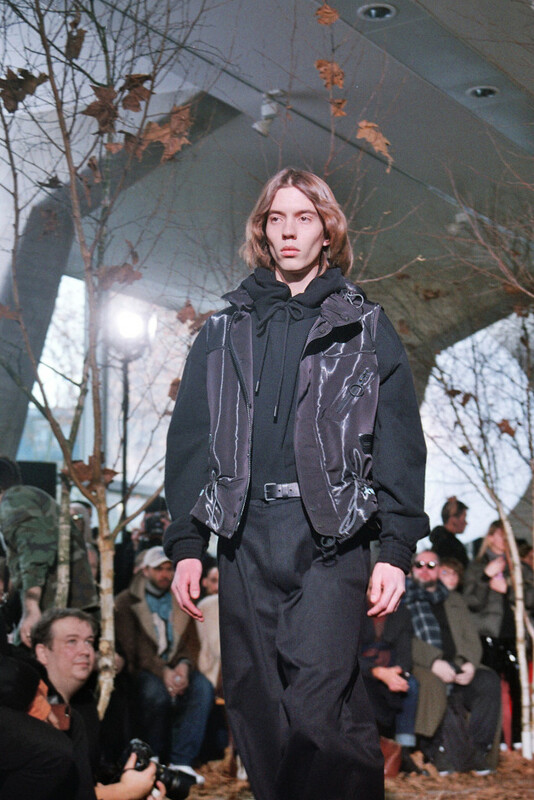 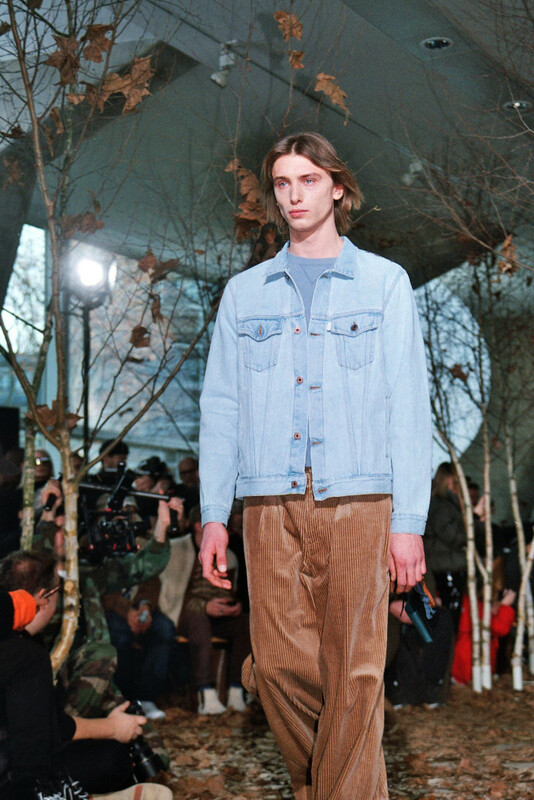 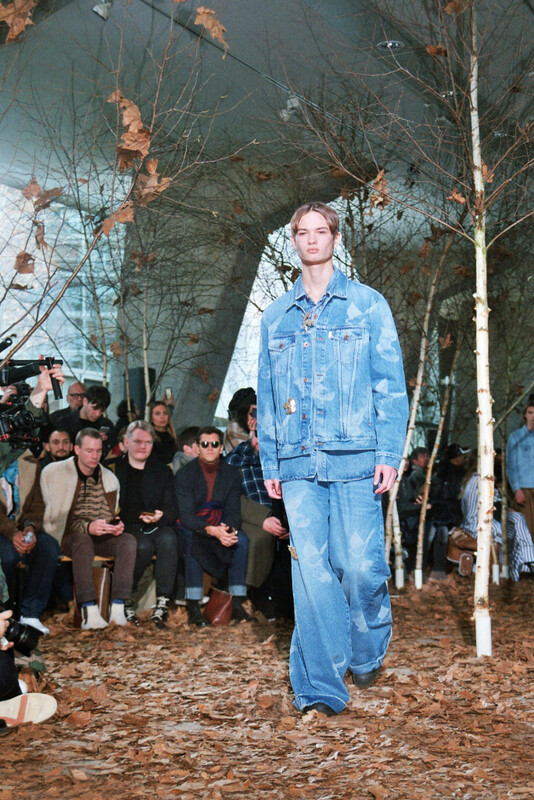 On this second day of Paris Fashion Week, the label Off White presented its Fall-Winter 2017/18 Menswear Show at UNESCO’s head office. 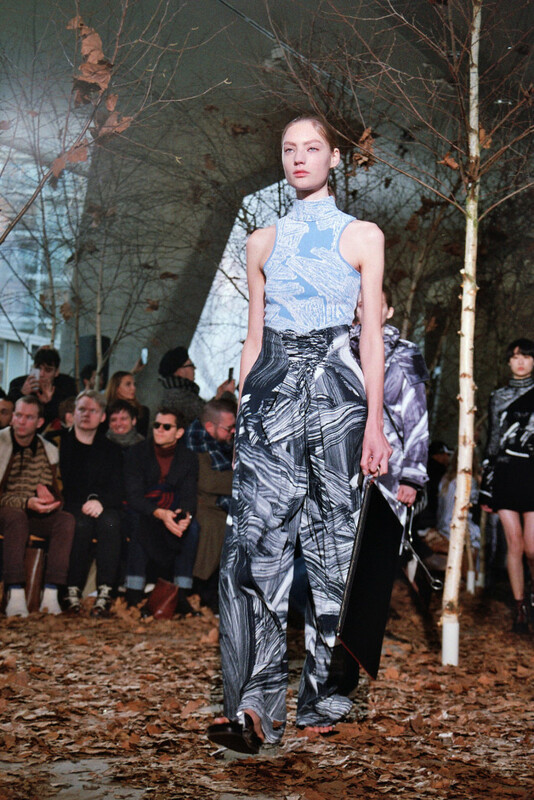 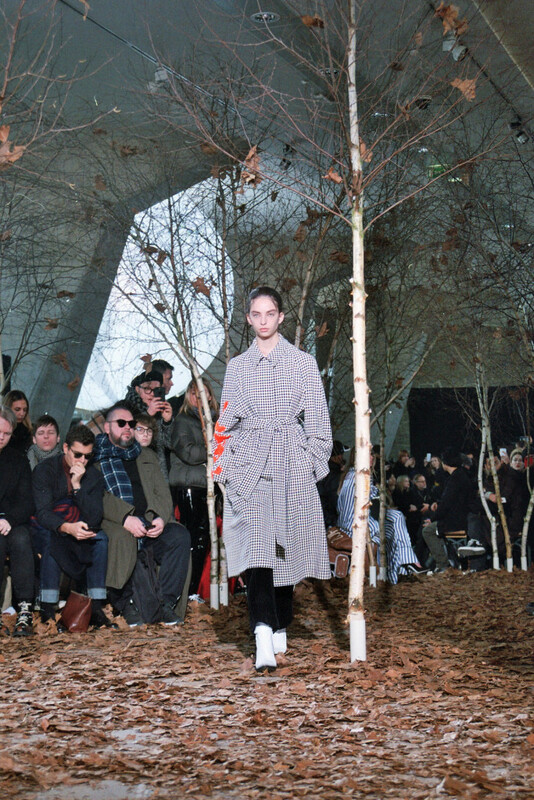 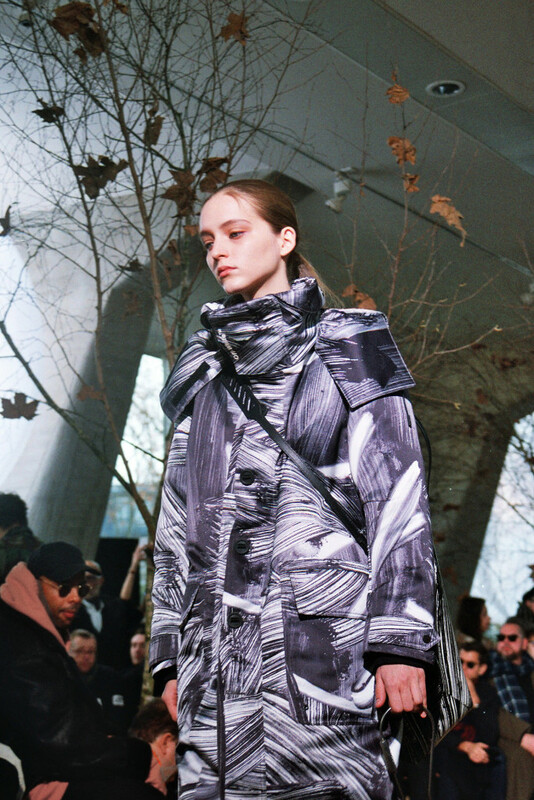 The models walk on a floor full of autumn leafs, fallen from the abundant trees that surround the catwalk. 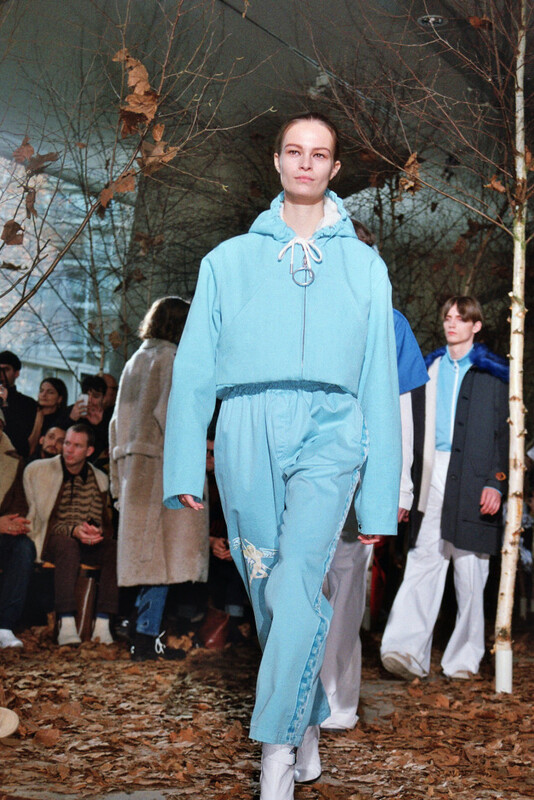 As for the collection, we find many inspiring silhouettes with high-waisted pants, often accompanied with a hoodie. 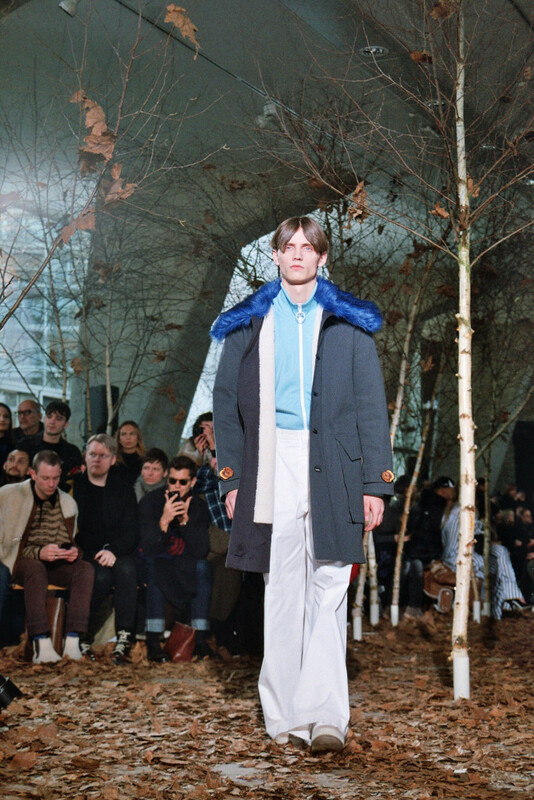 The pieces are fluid and the coats are long, ideal for a street attitude and an elegant silhouette alike. 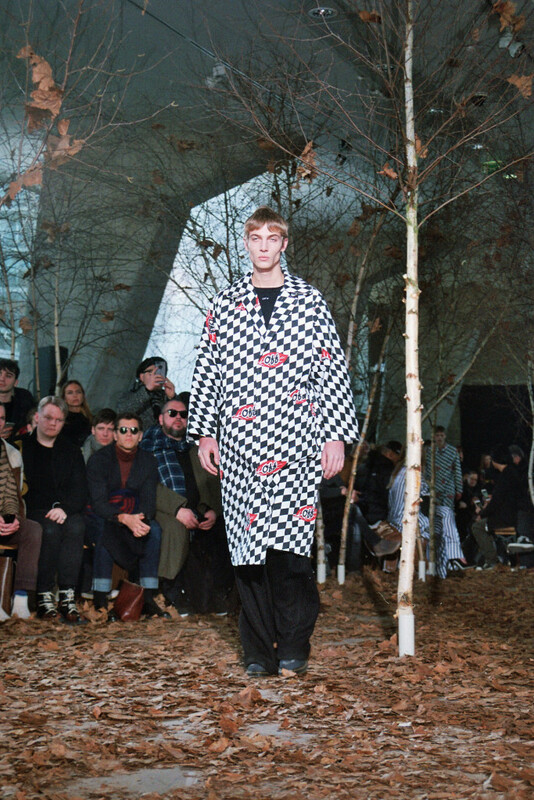 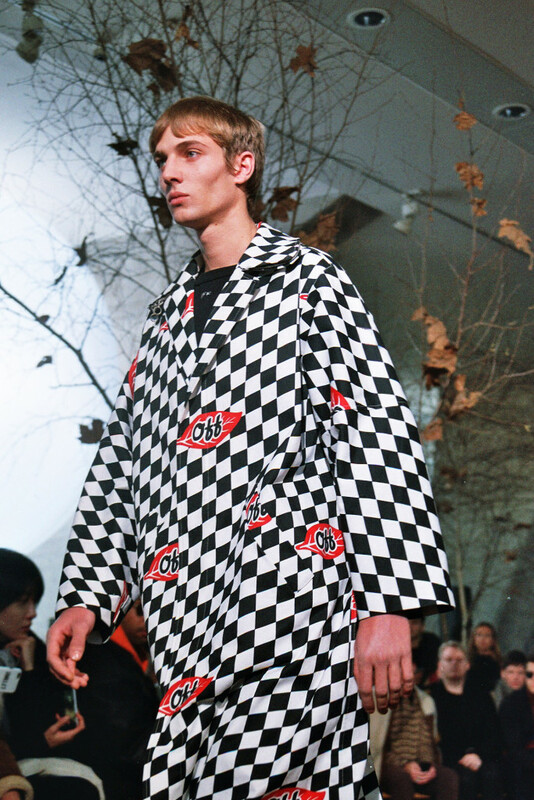 The designer uses checked and chess board pattern for coats and furs. 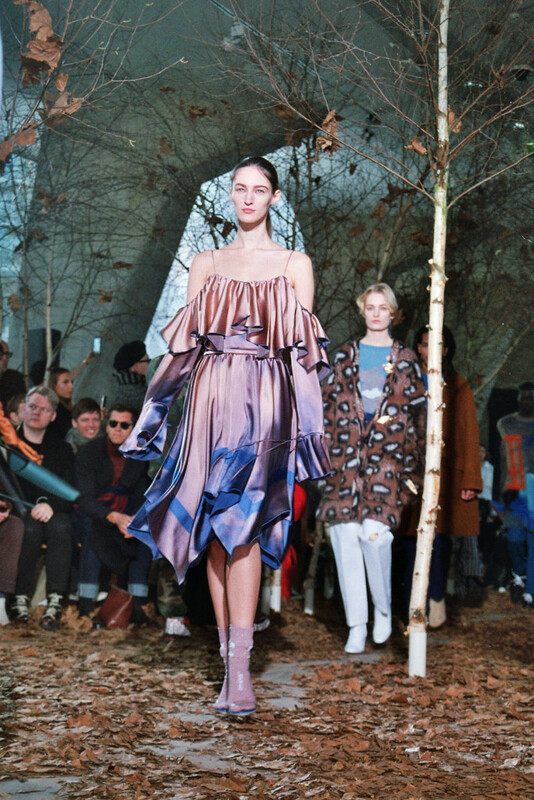 We also see feminine looks with large pieces, flowy dresses, and fitted tops or pants and flounces for a chic and very modern appearance. 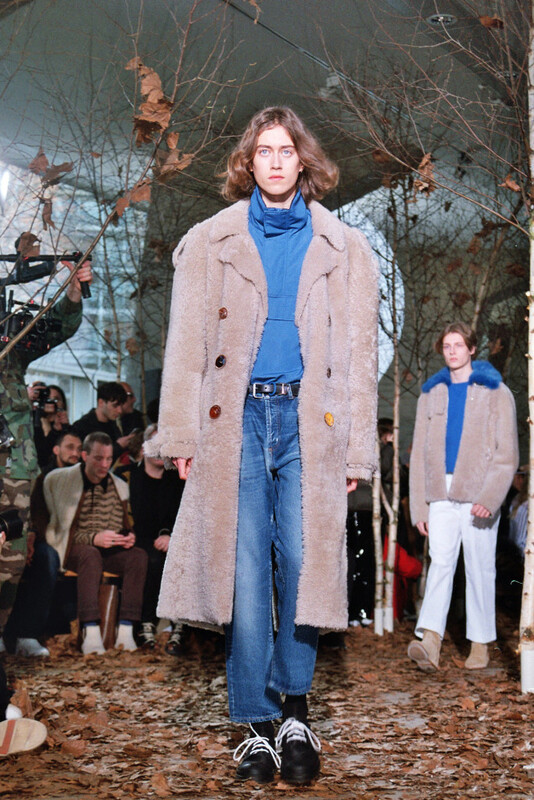 With tight-fitting clothes on their way out, fluid pieces and casual looks with distinguished pieces are claiming the top spot. 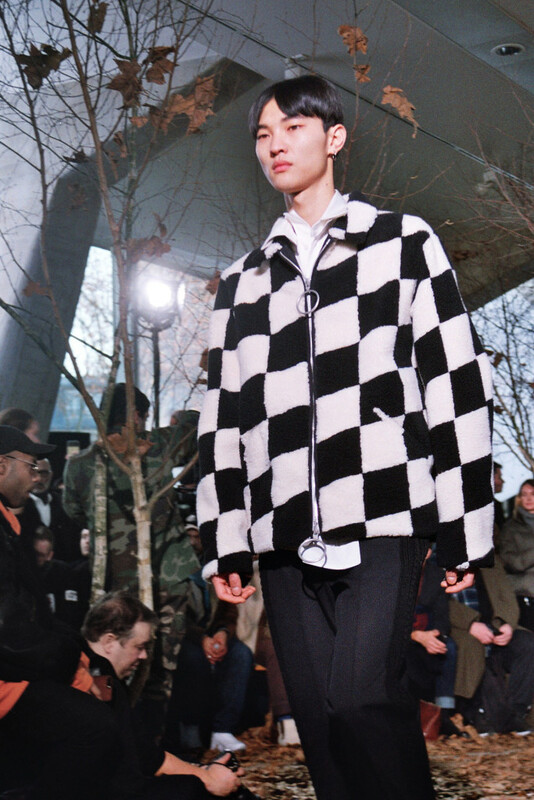 Moreover, we notice several 90s pieces, such as the pop zipped sweatshirt, the black vinyl pant, the baggy jacket, and the retro checked jacket. 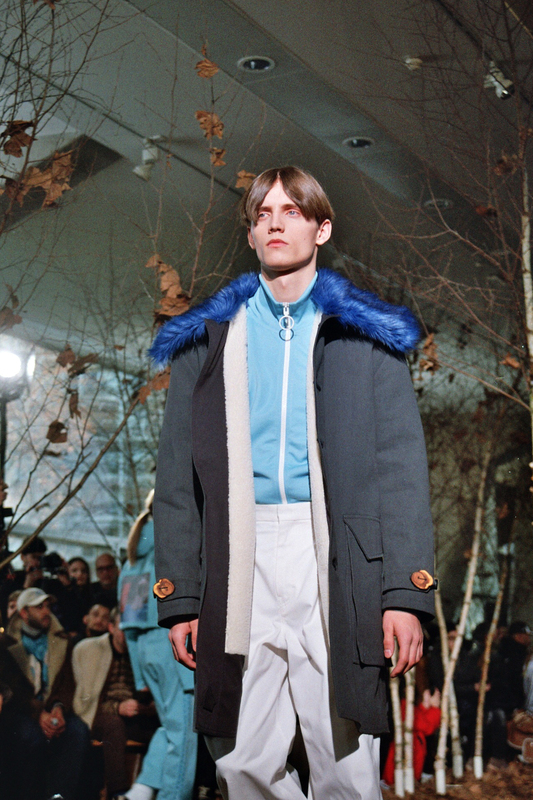 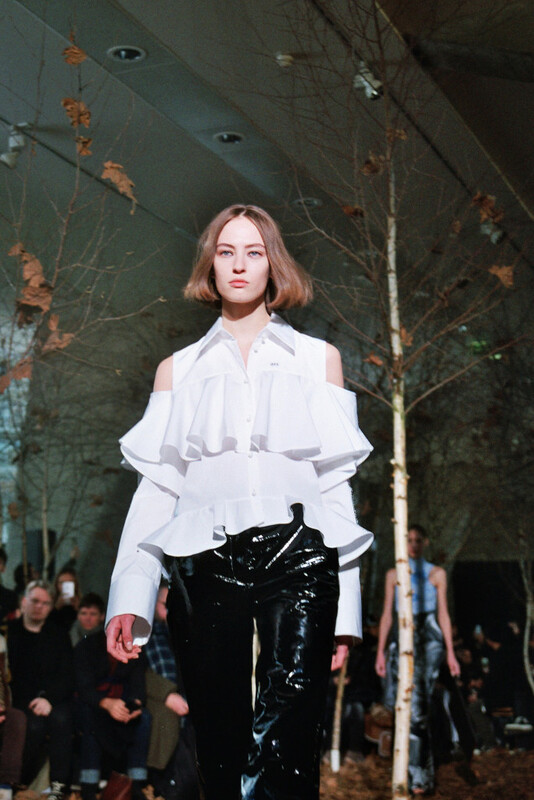 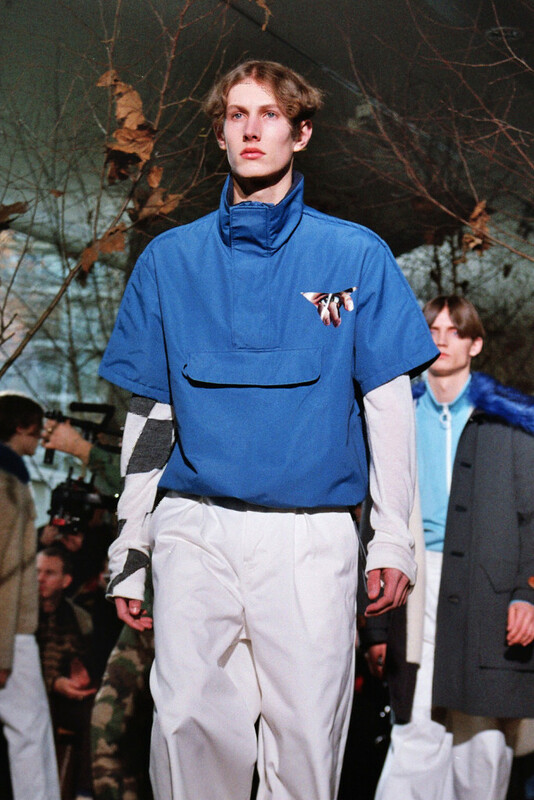 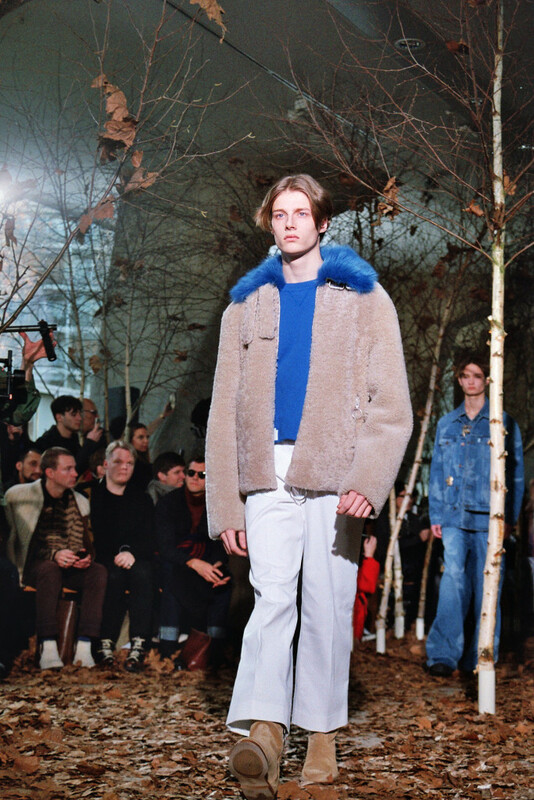 With this collection, Off White managed to reunite vintage inspirations and modern silhouettes with talent.